Apparently there are websites that broadcast and stream live pay-per-view matches (illegally of course). You just need to know where to look. I always find myself sitting at a computer and not knowing what website to visit. My dad used to talk about how there were only 3 or 4 broadcasted channels when he was a kid. When I was little there were more channels but now with the internet you can find almost anything you want anytime you want. It's hard to imagine it getting more convenient than that but I feel like technology often has a way of surprising us in abundance and convenience. I just found a channel that continuously broadcasts every episode of South Park in sequential order and another channel that broadcasts live video feed of someone's baby ferrets. The possibilities are endless. I was at Barnes and Noble today and saw this book on the shelf. 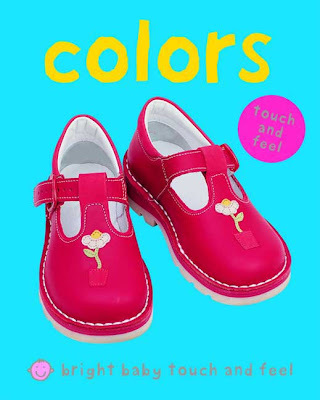 The cover caught my attention because I was not aware that one could feel ‘touch & feel’ colors. The contents of the book made just as much sense as the cover. Oh well. It’s for babies anyway. This other book caught my attention simply because I immediately thought that the guy on the right had big over sized women legs. For some reason I feel oddly nostalgic for electric heat, warm sweaters and drinking hot drinks in the cold. These things will come in time. I was going through all of my old notes from High School while cleaning out my closet today. There was a lot (and I mean a whole lot) of bad angsty teenage poetry. The strangest note that I wrote to myself (from all of the ones that I felt compelled to save in a box for years) was written on the back of a CVS receipt and simply said "Sea Cow Technology". I write a lot of short cues to myself so that I can remember ideas but this one (at the moment) means nothing to me.